I've been using Label Rouge poultry for a few years now, I became familiar with the brand as one of the butchers I frequent has them in stock. So while I am a big supporter of local produce, it is difficult when you move to a new country to work out what products are the best quality. 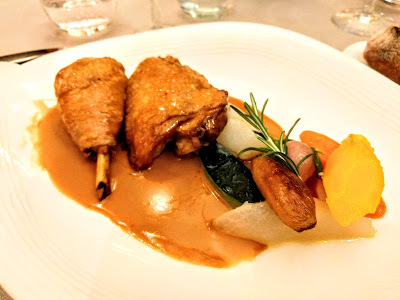 So when you do find something that may not necessarily tick the local box, but ticks the box on traceability, quality, consistency and flavour, it solves a lot of problems in the kitchen. I do like to know exactly where my food comes from and so it's always good to get a chance to meet the farmers behind the product. 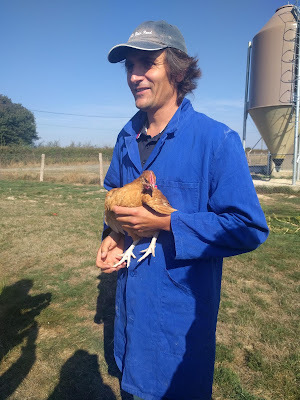 Last week I was invited by Label Rouge and Melman communications to join journalists from Vlees+ and VoedingNU to visit farmers and butchers in Lyon and the surrounding Auvergne region in France. So what exactly is Label Rouge and what does it mean? Label Rouge was set up in 1960 as a backlash to the mass production in poultry farming after the second world war. 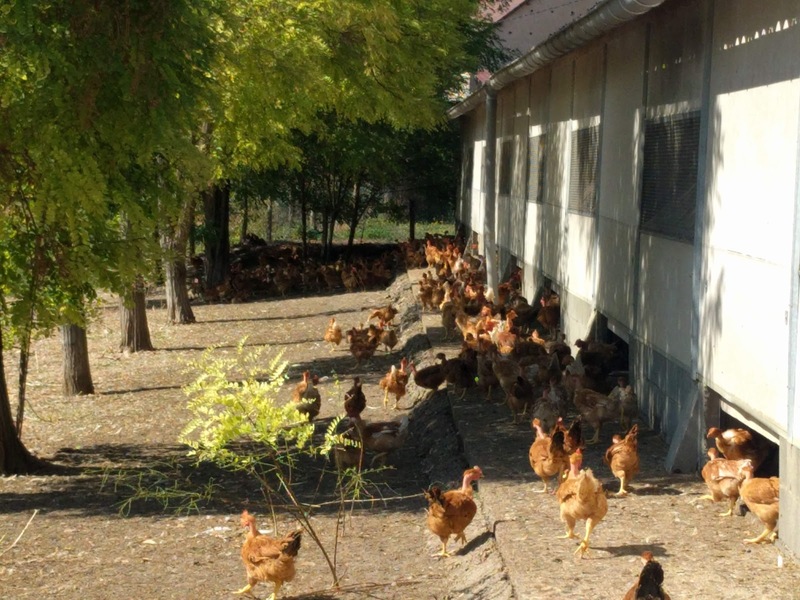 A syndicate of farmers wished to improve the conditions of the animals and also provide a support network for quality farming. 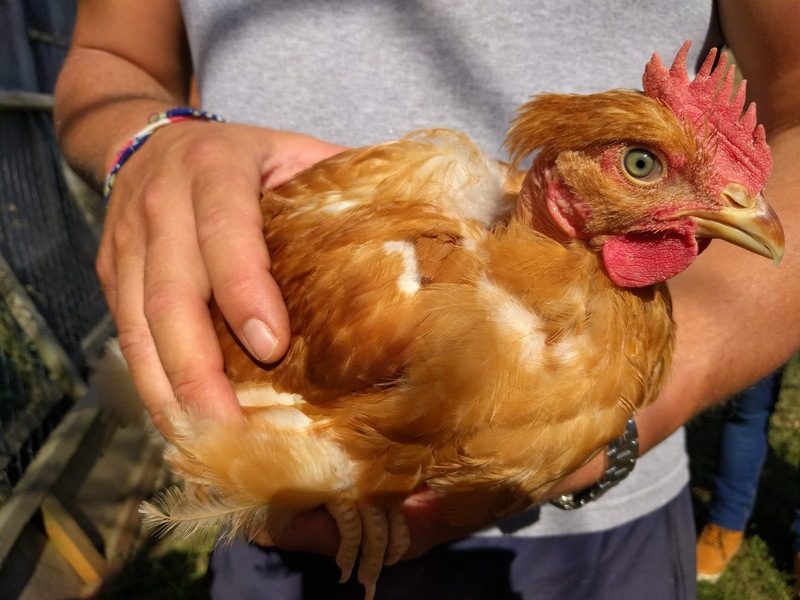 It covers every aspect from hatching to slaughter and delivery. It was also a way of stepping back to traditional free range farming methods but ensuring similar quality with all participating farmers. 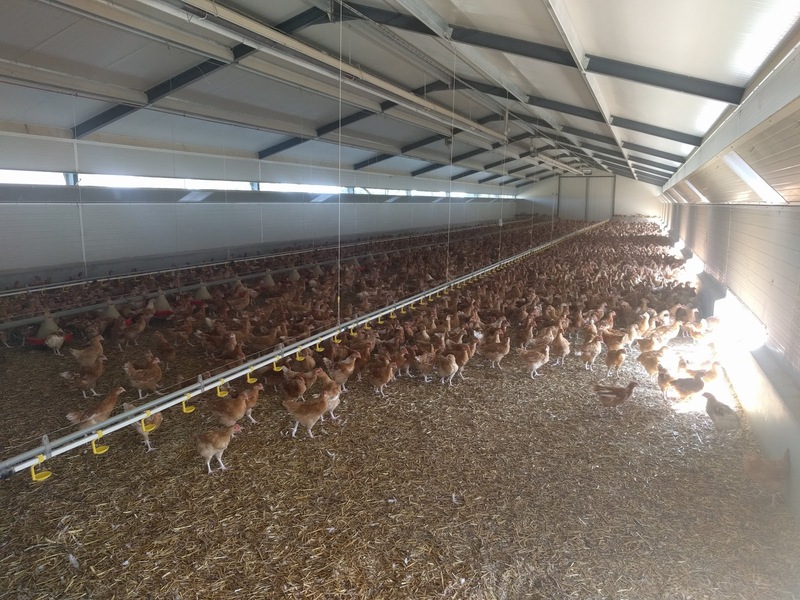 The birds are kept safely indoors overnight and get to roam freely during the day, they also have plenty of space within the coop and also outdoors. The guidelines from Label Rouge cover the types of bird being farmed (slow growing breeds only), the feed (high quality locally grown grains), the number of animals per metre squared (11 chickens) and no chemicals are used in the feeds. They do not encourage fast growing breeds or growth stimulants, the aim is for a happy, healthy, tasty bird. The birds are slaughtered at a minimum of 81 days which is almost twice what other companies dictate and can also be left to grow for longer. What does it mean for the farmers involved? They see it as a support network, and are proud to adhere to the stringent guidelines laid down by Label Rouge. There are independent ad hoc checks on a regular basis to ensure guidelines are being followed. The farmers are proud knowing they are part of a quality industry, not just in animal welfare but producing a tasty animal too. When visiting the farms it was clear to see that the farmers really cared for the animals, the birds were healthy looking and the coops clean with plenty of space for them to roam outdoors too. At every stage of production there are inspections and lots of paperwork for the farmers to fill in to ensure there is complete traceability. On the label for the end product you can see where the animal was farmed, how it was raised, where it was slaughtered. This is available to the end consumer. 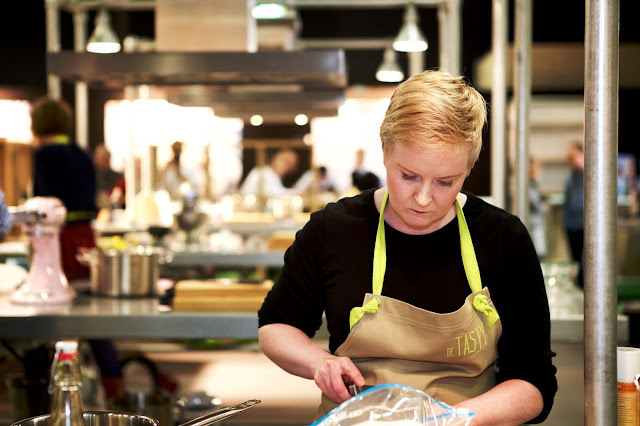 So what does this mean for the end consumer or chef ? Label Rouge is seen as a mark of quality in France. When visiting a supermarket butcher a customer overheard us speaking in English about the brand and remarked ''it's the best!''. French butchers want to be associated with quality so they will ensure they have label rouge birds in stock for their customers. It's a well known brand associated with being the best, so customers specifically ask for it. Here in the Netherlands it is gaining ground with high end butchers who are aiming for quality products. Very few brands offer complete end to end traceability and a guarantee that the bird will have a superior flavour. When you see the Label Rouge chicken in the butchers here in the Netherlands, there are three breeds. Black foot, white foot and yellow foot. The birds will vary in flavour, the yellow foot is more tender and has a higher fat content than the others. The black foot, has a gamier flavour and the white foot a lighter flavour. In France they are sold with the head and feet intact, but having spoken to my butcher Johan van Uden from Chateaubriand in Heemstede here in the Netherlands he said that they presented the bird in a more "oven ready manner" as people were often put off by traditional presentation. Speaking with the chefs in France, they said that the Label Rouge brand was one of the few that could guarantee flavour as well as quality and that is why the birds featured on their menu. So how does Label Rouge compare with Beter Leven chickens? Label Rouge has a close comparison with 3 star Beter Leven level. Beter Leven also has slow growing breeds, but slaughter the birds at 71 days in comparison with 81 for Label Rouge. Chickens number 10 per metre squared in comparison with 11 for Label Rouge. Both Label Rouge and (organic) Beter Leven chickens have access to outdoors. Although Label Rouge isn't exclusively organic, they do have the same stringent applications as Beter Leven free range animals. 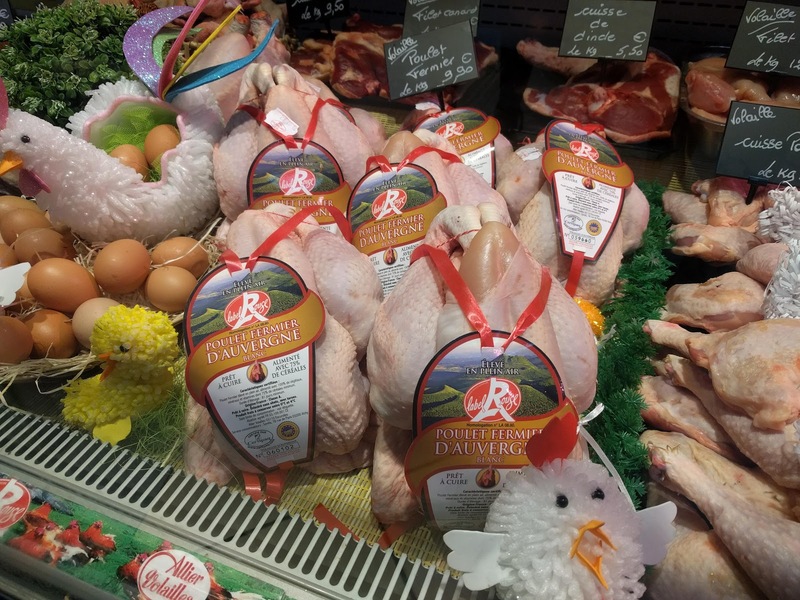 Label Rouge here in the Netherlands also imports guinea fowl and duck as well as chicken. In France they also have beef, lamb pork, shrimp and herring as well as flour.